Notebook Screen Cleaning Wipes remove dust, fingerprints and smudges from notebook computer screens. Premoistened for maximum effectiveness. 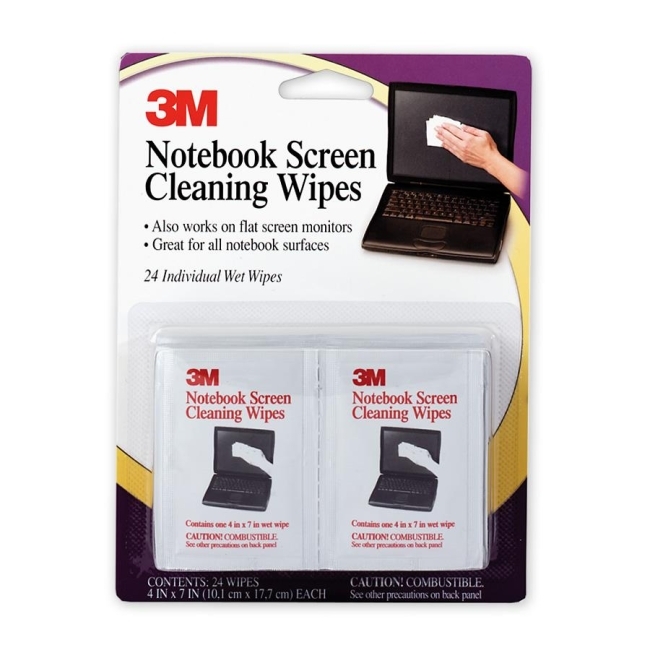 Each nonabrasive, nonstreaking wipe measures 3-9/10" x 6-9/10". Wipes dimension 4" x 7"